By Craig | March 22, 2019 | This post may contain affiliate links, which means we may receive a small commission, at no cost to you, if you make a purchase through a link. Read our Disclosure. You’re planning a trip to London – one of the biggest, and most exciting cities in the world! London can be expensive and you are probably wondering where to stay in London that won’t kill your budget yet still get you close enough to the action and London attractions. 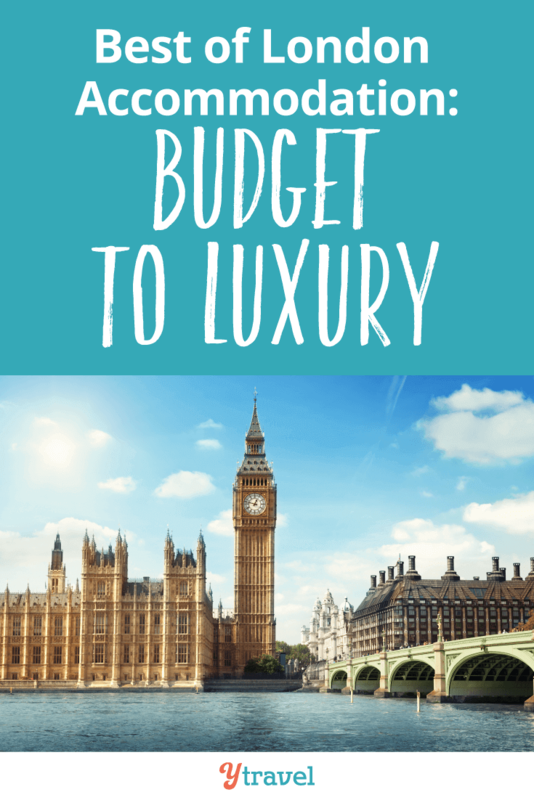 There are literally thousands of places to stay in London and to save you some time, and hopefully some money, I’ve researched the best London accommodation options from budget to luxury and narrowed down your choices to a few select properties. 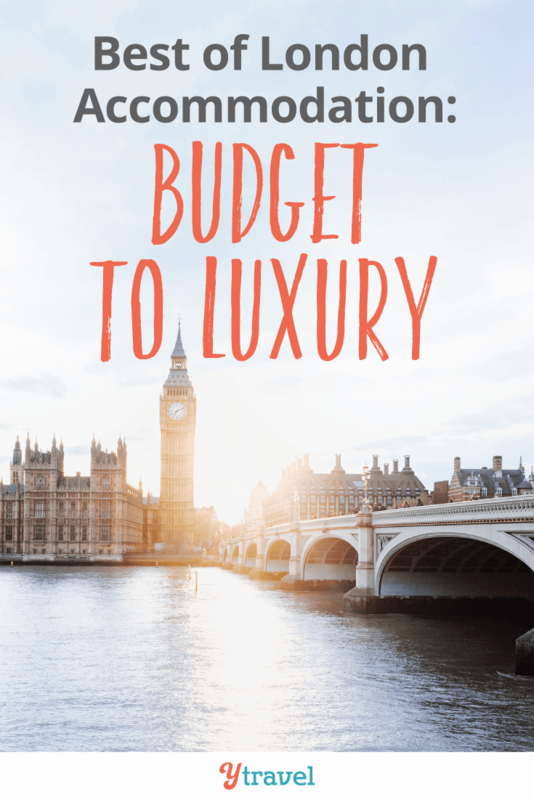 If this is your first time visiting London, I’ve created a list of the 5 best options for accommodation in London for budget, mid-range and luxury travelers, and these London properties have been put into three categories; hotels, apartments, and hostels. Where to stay in London? 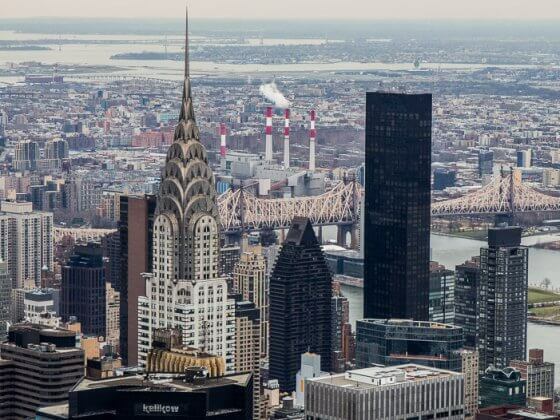 What about best neighborhoods? Why book your London accommodation with Booking.com? There is no ‘best’ area of London to stay in for everyone’s needs but I’ve focused the location of the properties in Central London so you have most of the top London sightseeing attractions on your doorstep to save you as much time getting around as possible. The majority of the London accommodation options I’ve listed down below are located around the Victoria, Kensington, Waterloo, Hyde Park, St Pancras, Westminster, and Southwark areas. These are centrally located areas of London. From here you can easily get to the majority of your London attractions and London transport. You can stay further out of the city to save some money, but sometimes the trade-off between saving money and saving time on commuting by being central to the action cancels each other out, particularly on short getaways! Wherever you stay in London, all the main accommodation districts are well served by the public transport system. The Tube really is an excellent transportation system that can get you around London quickly. To make my list on where to stay in London, each property had specific criteria to meet and for my research, I used the Booking.com website. I like that you can book a variety of accommodation types on the one website – hotels, apartments, hostels, even vacation homes – and I love how simple their website is to use! Booking.com is the world leader in booking accommodation online and has over 800,000 properties worldwide, and over 2,500 in London. You also get free cancellation on most rooms and a best price guarantee. Plus, they have verified reviews from guests who have actually stayed at the property! We use Booking.com all the time for our accommodation needs which is why they are our accommodation partner and a worthy one to help you find where to stay in London that suits your needs. Planning to travel soon? Let us help you know what to do and when. Our pre-departure checklists will arrive in your inbox at the right stage of the travel planning journey and tell you what to take care of. They’re free. Click here to Automate your travel planning now! Click on each link to read a full description of the London property. 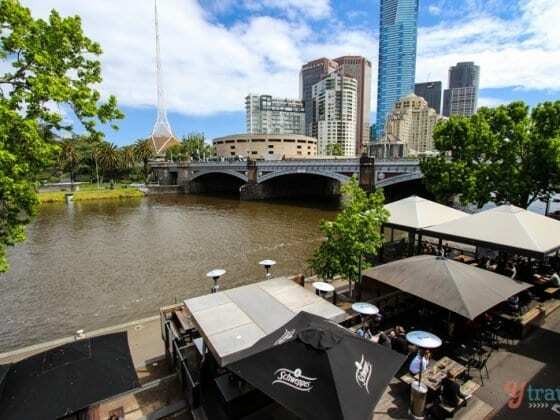 If Airbnb is your thing, we’ve got a $27AUD credit for you on your first stay. I hope this page helped you to find the best London accommodation to suit your needs. If you found this post useful, please share it with someone visiting London using the social sharing buttons below. We’ve been traveling 20 years and have come to rely on a few trusted websites that save us money and time when booking accommodation, flights, and car rental. Below are our preferred partners. If you book through these links, we do receive a small commission at no extra cost to you. It helps us continue to provide inspiring and helpful travel content for free on this site. Skyscanner is a comparison website that searches millions of flights. Once you find your best deal, book directly through the airline (no extra fees). 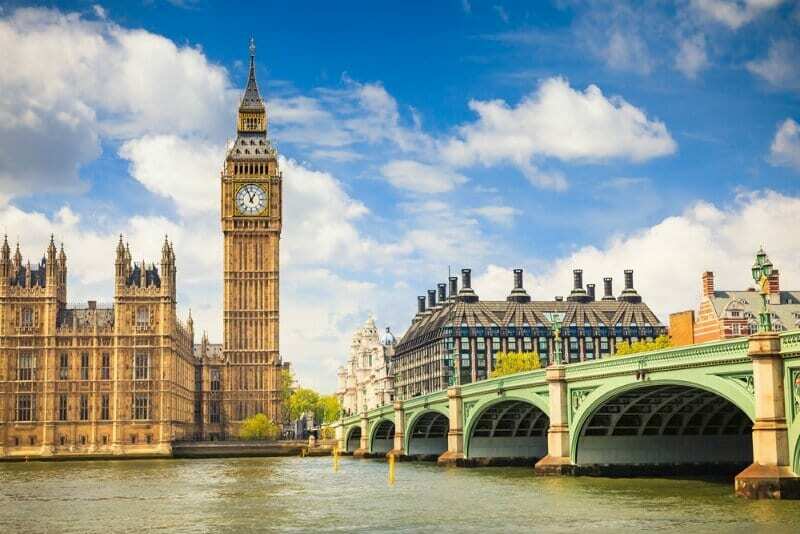 The London Pass gives you free entry to 60+ top London attractions, Hop on and Off sightseeing tour, and fast track passes at popular London attractions. Get yours and save money on travel to London. Can you recommend a place to stay in London? Please share any tips in the comments! How can we help you travel more? Craig Makepeace is the co-founder of yTravel Blog. He's been traveling and living around the world since 2002 and believes that life is all about accumulating memories and moments with his family, not just possessions. He's a travel addict, sports fanatic, beach lover, and passionate craft beer drinker! Loved the Windermere! Perfect location, comfortable room and great breakfast & dinner. Stayed there over a week and it felt like coming home each evening after a long day of sight seeing. Glad this list is going to be useful for you Marion. Hope you make it to London Soon! Good post Craig. Keep going! I have stayed at Travel Joy Hostel once and I can definitely recommend staying there. Good to hear that Ben! I’ve been to London several times and I can recommend these hotels listed here are of excellent quality and service, it is worth the investment. Hi Leônidas, glad to hear you also recommend these properties! This sound’s luxurious but not costly. Thanks for putting this together, this is really interesting. There’s a lot of people wanted to go to London but couldn’t find theirselves a budgeted place to stay. I hope this could help. Thanks Nika. I hope it helps you with your London accommodation search and everyone else who reads it too! This is a great collection actually. It can be very tricky to find a good hotel in London!! Happy to hear that Kristoffer. Hopefully it helps you find the best London accommodation options for your needs. My wife and me plane to visit London soon your article help me a lot thanks for sharing valuable article. what site is best suited to find place to stay in london? We look at all the sites, but our favourites are Booking.com, Hotels.com and Airbnb. Travel addicts living life unplugged and proving travel doesn’t stop after kids.